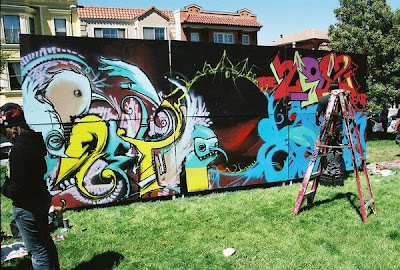 Youth and families are invited to come for the afternoon and be a part of a positive and creative expression with San Francisco/ Bay Area artists at the thirteen annual Urban Youth Arts Festival. Participate in traditional as well as aerosol painting and other hands on community art activities. All are welcome to spend the day enjoying mural performances, music, breakdancing and refreshments. PROJECT ELEFONT WILL HAVE A BOOTH AT THIS EVENT!! !